Centro Cultural Barco de Papel invited to a presentation of the Puerto Rican poet, psychologist and free thinker Jennifer Nielenie (Rio Piedras, 1979) who presented her work “Memorias de una Diva en Recuperación (Memories of a Recovering Diva)” a hand made poetry publication using recycled objets on a cardboard cover which itself is part of the general purpose of this work. The narrative style of the poems communicates “the voice of protest of women against society and social surroundings”. 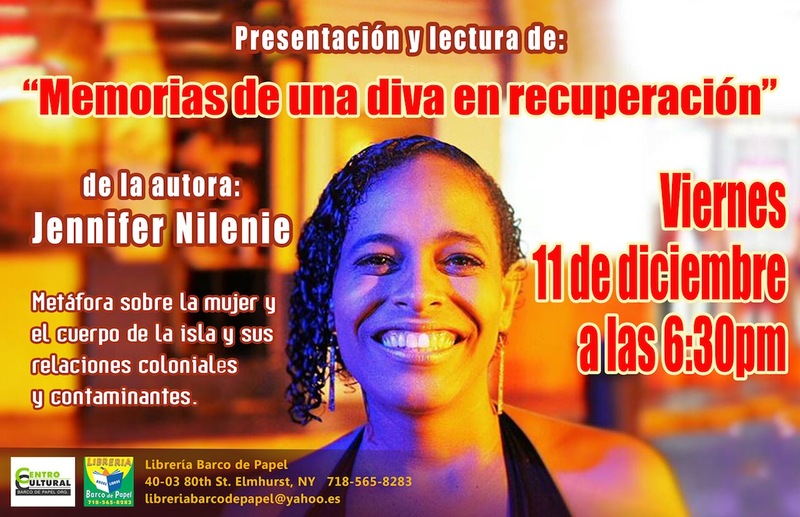 The book is described by the author as “a metaphor about women and the body of the island and its contaminant colonial relationships”, It presents her thoughts on her own voice or by means of fictitious characters who express themselves either in Spanish or English in New York or Puerto Rico. Jennifer Nilenie (Puerto Rico 1979) is an informal and rebel anti-institutional poet. She defines herself as “big mouthed by birth and vocation”. In her biography she writes that her mother predicted by a lecture of her astrology chart she will be a writer or journalist. She decided to study, however, social psychology in the University of Puerto Rico. “The words chose me, In my classes I wrote nice things to my lovers and hate things to the system,” she said. She grew up with the poetry of Julia de Burgos, Rodríguez de Tío, Pales Matos, Pedro Pietri; the music of Guitarra Armada and Rebeldía Revolucionaria and independence ideals. 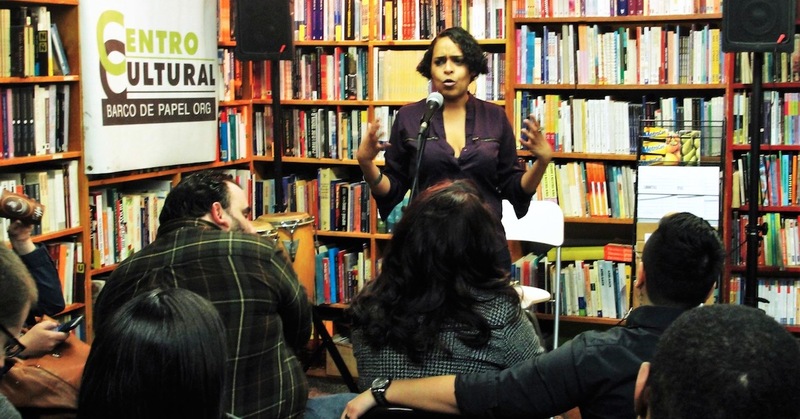 As a member of the Collective Capearte in Puerto Rico, she was invited to Latin American poets festivals in New York. There she met Ricardo Leon Pena-Villa and Poetas en Nueva York by them “poetry became an element of enjoyment”. She also met Carlos Manuel MIranda and Miguel Algarin, and they solidified her fondness for poetry. “Its rhythm, energy and analytic profundity made me understand that my distraction is not flippant”. 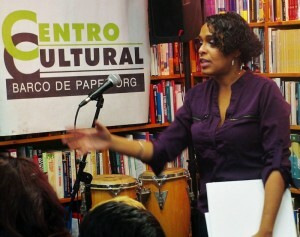 She says that although she is always working in her non published work “Muchas Gracias Por sus Faldas (Thanks Very Much for Your Skirts),” the influence of New York made her change her focus to “Yin” y “Yang” and “Libreta 2”, her first publications, the later presented in the Uptown Sisters Bookstore in NYC. Back in Puerto Rico she wrote “Memorias de Una Diva en Recuperación,” this time using a hand made artisanal techniques influenced by poet Nicole Delgado.